Two identical twins who were born girls have now become brothers. Transgender siblings Jack and Jace Grafe, 23, used to cry themselves to sleep and prayed to wake up as boys when they were children. They started life as Jaclyn and Jennifer in June 1995, and grew up in a conservative Christian home. Jack and Jace grew up in Baltimore, Maryland, before moving to Monroe, Georgia. 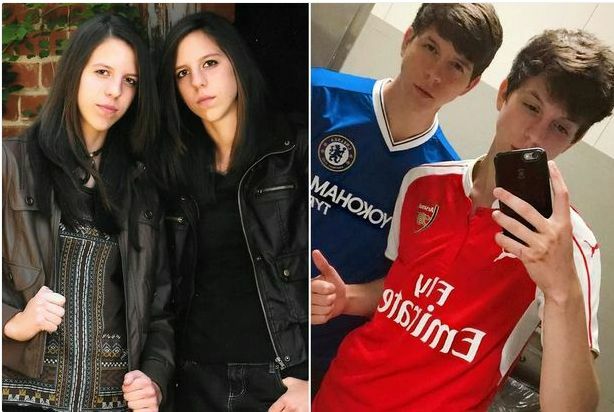 They came out at the age of 18 and are now transitioning as a duo in a rare case. 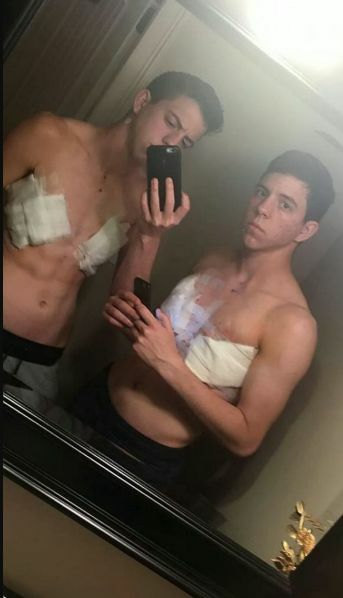 The twins, who have the same DNA, have grown facial hair since they began taking testosterone in April 2017 and underwent chest surgery in August. Jack, a deputy sheriff’s officer, said: “As a kid I would cry and pray to God that I would wake up in a male body, not even understanding that being transgender was a thing. “Now, I am the happiest with myself that I have been in my entire life. That uncomfortable feeling we had before has completely gone. “When we came out, it was to our whole family – mum, dad and our older sister. “Our parents had never seen anything like it. They have never experienced gay or transgender people and my dad is a pastor. We live in Georgia. “At work I have had my fair share of people calling me a ‘s***’ – she, he, it. Usually they just don’t understand. “People still refer to us as female. Whenever I hear ‘she’ or ‘her’ it is like a kick in the stomach. “It hurts but I get it. At a young age, I was skeptical of it myself. For some people, it is a hard pill to swallow. “There are times when I wish I was just born – and I don’t mean this in a negative way -but ‘normal’, and that I was biologically male. Jace, who is also a deputy officer and just started in the police academy, added: “Honestly, the twin thing has helped. “If I was to go back to when I was 15 or 16 I would never think in a million years that I would have got to this point.”It was a fantasy and I always wished it was going to happy but I wasn’t brave enough. I didn’t have the guts. Despite not coming out until adulthood and keeping their gender identity secret from each other, both twins felt the same way – that they were male, not female.